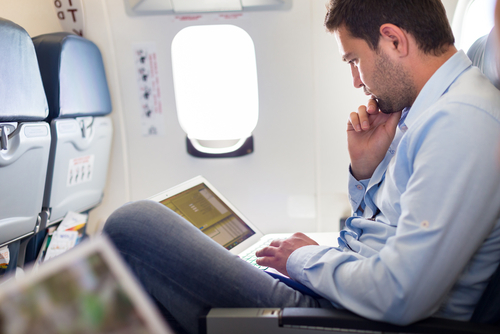 Business travel has become a necessity for companies to achieve their sales and revenue goals. At the same time, business travel has also become riskier as economic, political, and environmental issues arise in hot spots and developing markets. For these reasons, risk management is a high priority for companies wherever they conduct business. There are financial risks, legal risks and risks to your corporate reputation. There are also risks of data theft and stolen equipment. Most importantly, there are risks to the business travelers who represent your company overseas. Natural disasters and terrorism can jeopardize the safety of your employees when they travel abroad. Additionally, travel itself can take a toll on the physical health and mental well-being of your team members. As a result, companies not only have to mitigate risk but they also have a duty of care to their employees. Companies of all sizes are incorporating new policies and employing advanced technology to ensure their team members are prepared for any contingencies and stay connected during business travel. Here are three ways managers can be proactive in reducing the risk associated with corporate travel. Responsible travel management starts with integrating risk management into your corporate travel policies. This requires the input of several departments including human resources and legal affairs. Inviting colleagues from various departments enables corporate travel managers to leverage in-house expertise from several disciplines and close any gaps that are crucial to creating a comprehensive policy. Incorporating risk management into your travel policy also provides an opportunity for strategic outsourcing of key elements to experienced third parties. For example, partnering with a corporate travel agency enables you to create a policy that is tailor-made to the needs of your company and access proprietary resources such as online reporting tools to implement the policy. Robust technology supplied by a corporate travel partner can play a significant role in reducing the risk associated with business travel abroad. This technology keeps managers and employees updated with information accessible through an easy to use dashboard. This dashboard keeps track of employees’ locations during international business travel in case of an emergency. Knowing where employees are around the globe enables companies to send them email and SMS push notifications alerting them to travel-related situations. These could be changes in weather conditions, terror incidents, health emergencies or local traffic accidents that may impact travelers. They can also help with providing alternative travel arrangements, if necessary. Business travelers are stakeholders in your company and therefore duty of care that considers employee needs for health and safety should also be part of a comprehensive policy. While this undoubtedly includes a focus on security, a policy is incomplete if it does not also consider the mental health and wellness of your employees. This is important because business travel can be stressful for your team members. Making connecting flights on time, going through customs, dealing with lost baggage, feeling jet lag, and being away from family can all impact your employees’ well-being and productivity. Considering business travel from the employee’s perspective will aide you in developing and communicating policies that both mitigate risk and meet people’s needs. Your corporate travel partner can help with this by consulting on policy development and by offering 24/7 assistance and support to your business travelers. Teplis Travel uses advanced technology to reduce risk and keep you connected to your team during business travel. Contact us or call (800) 669-6547 today to learn more about our online support tools, mobile phone alerts, and 24/7 traveler service desk.